An innovative Highlands project offering hope for the long-term survival of Scotland's red squirrels will be stepped up if conservation charity Trees for Life wins an online vote for a major European funding award. With the UK's red squirrels at risk of extinction, the charity's pioneering Reds Return project has been shortlisted to receive more than £25,000 in the European Outdoor Conservation Association's funding scheme. The winner will be determined by online voting between 8-19 October, and anyone can vote for Trees for Life at www.treesforlife.org.uk/voteTFL. Winning would allow Trees for Life to reintroduce red squirrels to four carefully chosen woodlands in the north-west Highlands – to which the reds can't return without help, as they avoid crossing large open spaces. This would significantly expand the species' numbers and range, with the new populations able to flourish, safe from threats posed by grey squirrels. 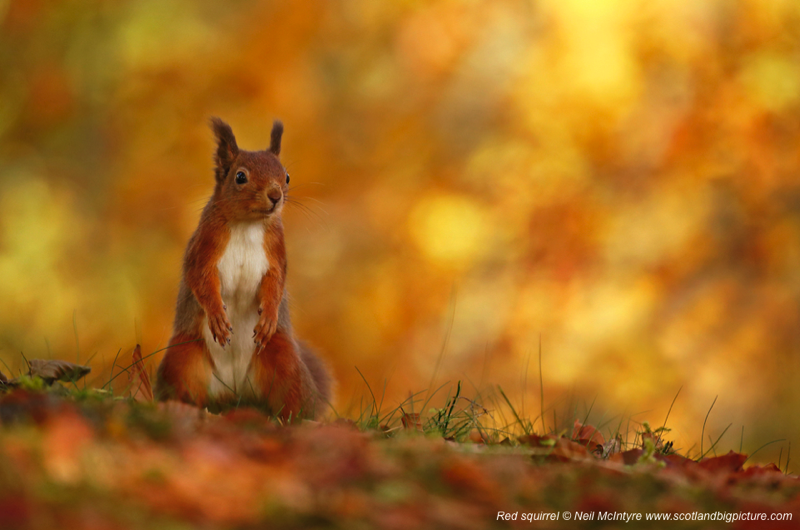 “We're urging people to vote for us so we can help more red squirrels return to their long-lost forest homes – offering hope for the reds' long-term survival in their last real stronghold of Scotland,” said Steve Micklewright, Trees for Life's Chief Executive. Urgent action is needed to secure the long-term future of the increasingly rare red squirrel in the UK, where only an estimated 138,000 survive, including some 120,000 in Scotland. Numbers of the much-loved mammals have been decimated by reduction of their forest homes to isolated fragments, and by competition and lethal disease from non-native grey squirrels. The project will also help natural expansion of Scotland's native woodlands, because red squirrels plant new trees by forgetting where they have buried their winter stores of nuts and seeds. Positive community involvement is at the heart of the project. School activities, community events and citizen science opportunities will help inspire people to get involved and care for the reintroduced reds. For more details about how to vote, see www.treesforlife.org.uk/voteTFL or call 01309 691292.